LONDON, JUNE 2016 – Britax, a global leader in child safety, has unveiled its latest pushchair, the BRITAX AFFINITY 2. Designed with fashion conscious parents in mind, the successor to the award winning BRITAX AFFINITY has a minimalist, modern design, without compromising on comfort, safety or ease of use. Suitable from birth when used with an infant carrier or carrycot, the new and improved BRITAX AFFINITY 2 now features a larger seating surface, single handed recline adjustment from the back of the seat, apron attachment improvement and a bigger carrycot with larger apron allowing for children to travel in comfort at all times. Other key features include foam-filled rear wheels that will not only absorb any bumps in the road, but also ensure that parents do not have the worry of a flat tyre mid outing. Featuring an intuitive folding system that automatically locks, the BRITAX AFFINITY 2 simplifies life for parents with its integrated CLICK & GO® receivers, making it easy to convert from pushchair seat to carrycot or infant carrier. Designed for style and day-to-day use, the addition to Britax’s wheeled goods collection comes with a height adjustable handle, front and rear suspension and ventilation window, providing maximum comfort for both children and parents. 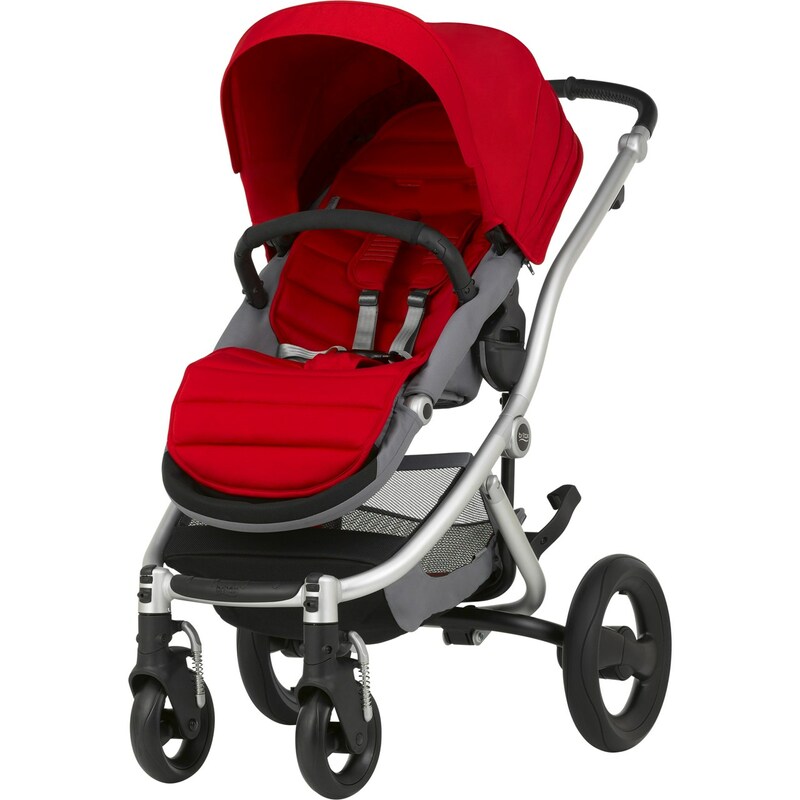 The BRITAX AFFINITY 2’s stylish lines are centred on a lightweight aluminium base model (chassis and seat unit without soft goods) that not only automatically locks, but is also freestanding and folds into a compact size. The new pushchair is made for parents who prefer a tailored solution, by giving the option to select four colour options for the base model and multiple options for colour pack, or soft goods, to fit every parent’s personal preferences. The BRITAX AFFINITY 2 can be used with children up to 17 kg, meaning that parents don’t have to spend additional money purchasing another pushchair when their child grows older. It has a fully reversible and adjustable seat with multiple recline positions and footrest, giving parents and children the flexibility to travel in a number of ways. Moritz Walther, European Marketing & Product Management Director, commented, “At Britax, we know that safety and practicality are paramount for parents. With the BRITAX AFFINITY 2, we’ve been able to provide a new level of practicality, allowing ease of use while maintaining style and overall practicality. It ensures a smooth ride for both parents and children – from the moment you leave the house to the moment you fold the pushchair away”. The BRITAX AFFINITY 2 is available in six colours: Lagoon Green, Cosmos Black, Flame Red, Wood Brown, Ocean Blue and Mineral Lilac at all major retailers for RRP £465 inclusive of base model and colour pack.